Android has become a favored platform for many users and not just those who are anti-Apple. The open nature of the operating system and the flexibility is what drew me to it. I use a Samsung Galaxy S3 as my primary device so I am always on the lookout for Android business apps that can help me do my job or make running my business easier. Here are Android business apps that you may not know about but are actually very helpful. 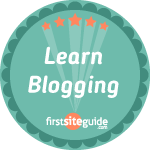 Join.Me is an awesome (and free) service from LogMeIn which lets people share their screen for presentations, support, or any other reason you’d want to share it. I use LogMeIn to access all of my computers and my client computers and I love the service. With Join.Me, LogMeIn has given us the ability to quickly share our screen. Simply navigate to http://join.me and you can share your screen after you download and run a small install file. You then give the share code to anyone you want to view your screen. With the Join.Me Viewer or Android you can view presentations or provide support from your Android phone. The reason I see this as a great Android business app is that I can use this as a way to give presentations to coworkers, colleagues, and even clients on the go. Or I can use it as a teaching tool. There are paid plans with Join.Me that include audio conferencing and other perks. Most offices have some form of in/out board. It’s necessary to know whether employees are in the building or out on sales calls or laying on the beach somewhere. My old job actually used a web based app which opened automatically when we logged onto the computer. We then checked in, out, to lunch, meetings, or leave. Management could then look at a glance and see everyone’s status. Simple In/Out is on the list of Android business apps that you may not have heard of because simply…I had never heard of it. I recently found it and I love it. I am a freelancer, so I don’t really have a need for it but for those who have coworkers, colleagues, or even kids this app is nice. With Simple In/Out you set up a company and add users. Then each user installs the app and logs in. The user can then log in and out. When logging in/out the user has the option to type a custom status. So they can put “Meeting”, “Lunch”, “Leave”, or “At the Tiki Hut”. Simple In/Out has GeoFences which lets you define a geographical area and tell the app to log you in or out automatically when you enter/leave the area. I really like that feature. Groups is another nice touch. You can segment your users so that Accounting doesn’t have to see Marketing’s statuses. Simple In/Out is free for up to 3 users. Paid plans start at $5/month. If your business does a lot of shipping or receiving then this is an Android business app you should look at. 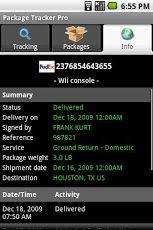 With Package Tracker Pro, you can track packages from Fedex, UPS, USPS, DHL, and many more. The convenience of not having to download each carrier’s app makes this worth it all by itself. But there are some great features with this app. You can get notification of package activity by LED, ringtone, vibrate, or even email notification. I hope these three Android business apps will help you out in some way. If you have any apps that you like that are not necessarily well known, please leave a comment below and tell us what they are.